Dormac Cape Town recently completed work on the vessel. The Comarco Falcon is a Tug, built in 1998 and is currently sailing under the flag of Kenya. Comarco is the leading marine and specialised logistics contractor in the East Africa region with over forty years of experience operating its own fleet of tugs, barges, supply vessels and specialised equipment for offshore, close shore, and beach operations. The Comarco Falcon has an overall length of 25.3m and a beam of 7.3m. Her gross tonnage is 149 tons. Dormac offers marine engineering services in all major port centres in South Africa. 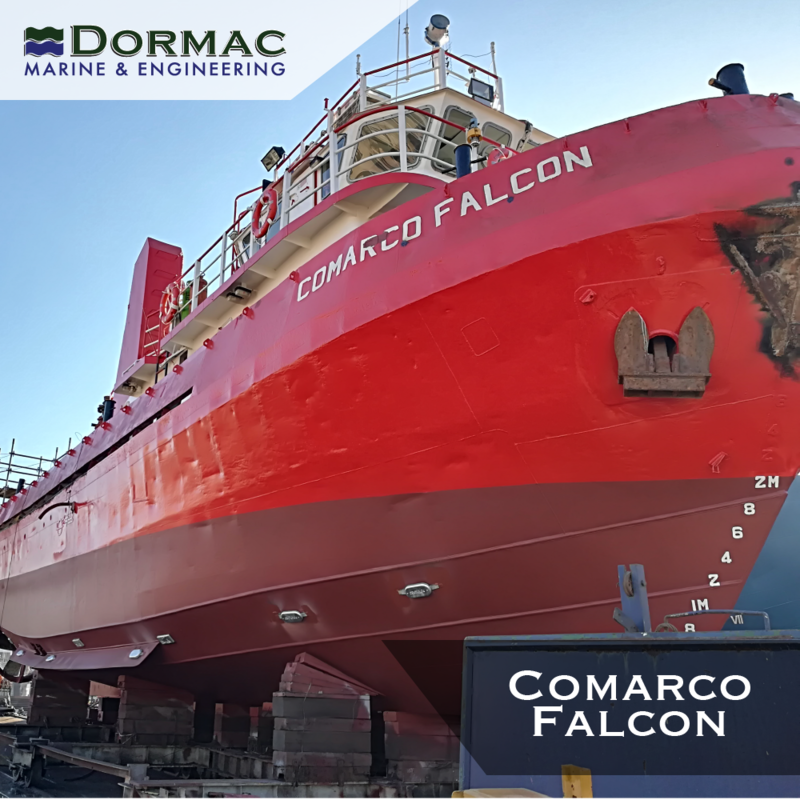 With very strong and dynamic management intuitive and with the optimum utilization of its great facilities, Dormac has rapidly developed its core business of ship repair into what is widely acknowledged today as the leading ship repair company in Africa. Find out more. Dormac specialises in the delivery of full turnkey solutions to clients in the marine, offshore and industrial fields.